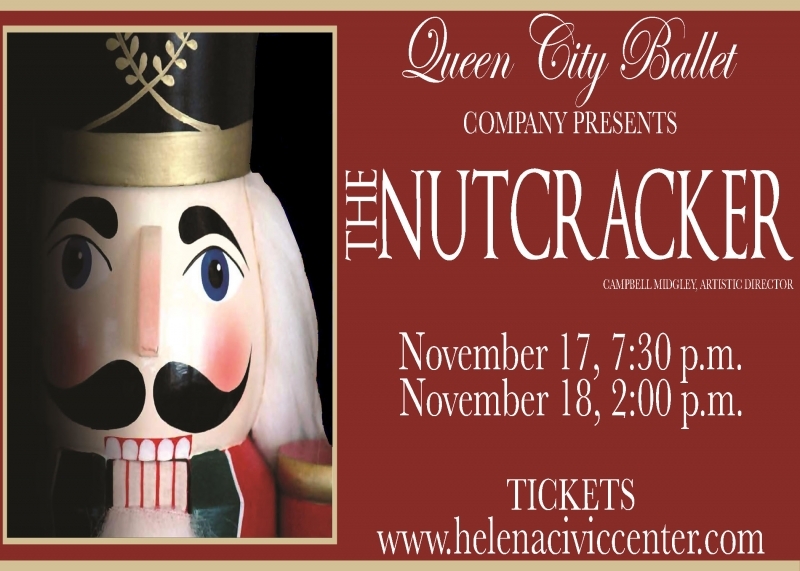 Helena's Queen City Ballet Company presents the beloved holiday classic "The Nutcracker," on Saturday, Nov. 17, at 7:30 p.m., and Sunday, Nov. 18, at 2:00 p.m. at the Helena Civic Center. Written by German author E.T.A. Hoffman in 1816, "The Nutcracker" tells the story of young Clara Stahlbaum, whose favorite Christmas toy, the Nutcracker, comes to life and, after defeating the evil Mouse King in battle, whisks her away to a magical kingdom populated by dolls.